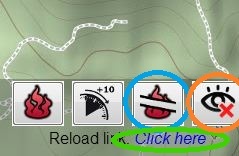 This tutorial explains how to use the ForeFire JS API by showing an example at : http://forefire.univ-corse.fr/simulation/. To understand how it works, we will explain step by step how to configure and launch a web simulation. The outputs of the simulations are displayed on Google Maps. Before starting a simulation, you have to set the date of the ignition. Move the timeline by scrolling with your mouse while you are pointing it. You must also set the wind at the beginning of the fire. 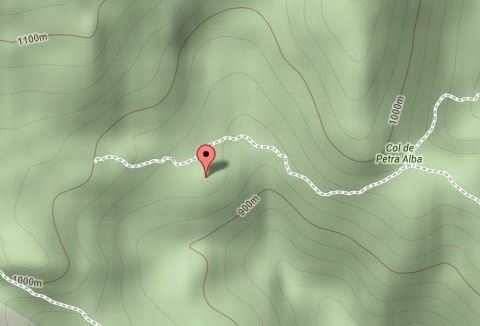 Move the wind vector with your mouse and click to validate. Next, you must choose an ignite point. 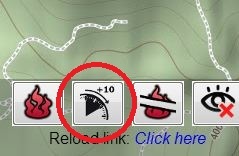 Move the map with your mouse and then click at a point where you want the fire to begin. When you have chosen at least an ignite point, you can start a simulation. You can do this to get another state as many times as you need. 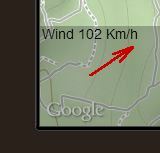 Take note that you can move the wind vector between steps.